What did people think about Magic Crystals? The wild symbols could pay out much more. I had almost two wild reels with wild symbols and the winnings were only around x20 bet which I think is really bad. That whole exaggerating вЂњBig WinвЂќ show after winning just 15x bet. Sorry NextGen, but what kind of player would consider that a big win? No point in having all those chips flying around when a player hardly won anything. It rather annoys people instead of making them happy. It’s not like that Kings of Chicago slot from NetEnt. Some of the details that the KoC does have would be the poker paytable scale but it also has Free spins. Unfortunately here on Reel Play Poker – Jacks or Better, expect nothing on here for features. It’s just a standard Video Poker twisted with a slot to bring together those qualities. There’s nothing special going on here or do I see any whopping wins. As with every Video Pokers around, a Royal Flush is super rare on here that I have yet to bring one out for a plentiful win on a payline! No matter what, this poker slot doesn’t beat the real Video Pokers…….Aces and Faces 50/100 plays, oh yeah (winks). Magic Crystals ? Why Magic Crystals ? The theme can speak for itself due to the symbols involved, making this a theme for Luck. Rabbit’s foot, shooting stars, four leaf clovers, what does this have to do with fortune? I know fortune can go either way but shouldn’t it be focused more of cash symbols? Unfortunately, Magic Crystals can be better with the ways it pays. For some of you who played Sons of Anarchy at your local casino, you should know that they pay in clusters. These clusters can be paid anywhere from 5 symbols or so…….a tetris block to better explain myself can apply to Magic Crystals to add spice to this flavorful slot! Minimum 3 symbols (backwards L, squares, you name it) can bring the best in this slot if this were possible! Once I had a lot of luck on this slot, I played some no deposit bonus and thanks to this slot I met wagering requirements and cashout more than 200$ and all that thanks to bonus round, but beside bonus round this slot is only wasting your time and most important money.Free spins here are useless. I played here a lot and I had a lot of free spins but from one round (10 free spins) in most of time I am happy when I collect 7-8$. And when you are not in free spins situation is same. You spin and spin and sometimes I think that this slot just eats my money and it is impossible to win anything. It is shame because graphics is not so bad here, they have some interesting items and characters and with this bonus round they were very close to make great slot because I donвЂ™t see why I should play here when if I donвЂ™t get bonus round I donвЂ™t have chance to make money and to be honest when I deposit 10 or 20$ and I play 1$ per spin it is very hard that in 10 spins you are so lucky and won bonus round. So in most times I just press spin button 10-15 time and that is it and when it happens I feel like a full. So after all my playing here I can say that graphics and technical side of slot is great and if you have fun money and playing in fun mode this is great slot, but when you use real money it is not fun to lose money that easy and that is key reason why I will say that in the end this slot is bad. We believe that Magic Crystals from Pragmatic Play, which was released 18.12.2015 with RTP 96.36% and Volatility – N/A are worth to play. And remember that is have 3 PAYLINES AND 5 REELS. This and 243 BETWAYS give a chance to win 6250 JACKPOT. 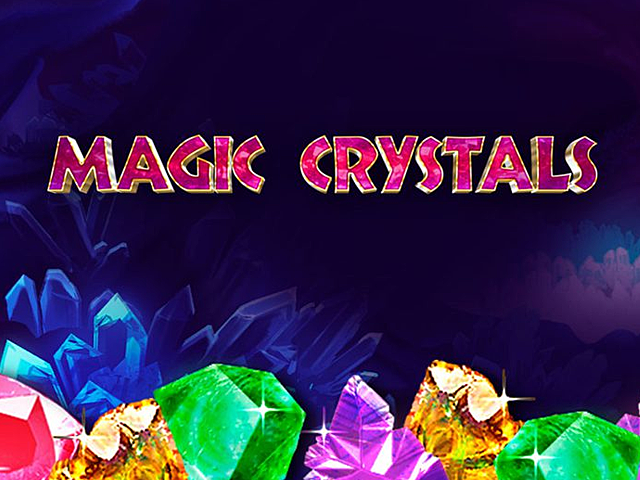 You should try to play in Magic Crystals with 0.3 MIN BET AND 150 MAX BET.